Phil Elverum doesn't like live albums. In his mind, the studio and live versions of Mount Eerie are separate things, with the latter generally producing inferior versions of the former. Still, he's released a handful of the things over his 25-year recording career, each with a simple caveat: the performance has to significantly differ from that of its studio counterpart. That's previously manifested itself through unique lineups and interpretations. But when it came time to share the material from A Crow Looked at Me, a record made in the wake of the death of his wife, Geneviève Castrée, Elverum had little room to move compositionally. Recorded with just a guitar and single mic on his laptop, these "death songs" as he calls them, were already stripped to the bones. 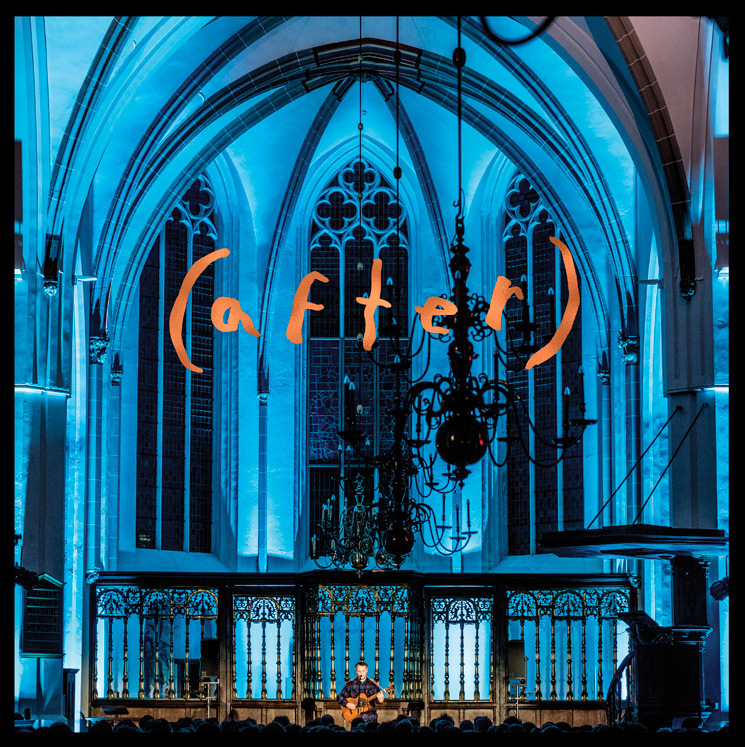 (After), recorded in a gothic church in the Netherlands at 2017's Le Guess Who Festival, finds its uniqueness not in the arrangements, but in the context of the presentation. The songs that Elverum performs from A Crow Looked at Me and Now Only, which at the time was still unreleased, confront death with a matter-of-fact directness that is both emotionally affecting and jarring. The studio incarnations have the effect of watching someone come to terms with the death of a loved one. Here, that one-sided voyeurism is gone. In its place we have Elverum presenting some of the rawest emotions of his life from a stage to an audience who paid to experience that sadness with him. The sympathy for Elverum is palpable. The performances themselves are spot-on; Elverum and his acoustic guitar recreate the album versions of "Real Death" and "Now Only." In this setting the latter song, which chronicles the couple's relationship as well as the surrealness of performing these songs to a daytime festival crowd, takes on a meta quality. "This is intense, this is an amazing show," Elverum says in the track titled "(Remarks)," before playing his final number, "Tintin In Tibet." But the silence that hangs between the final notes of each song and the audience's ecstatic applause is downright haunting.